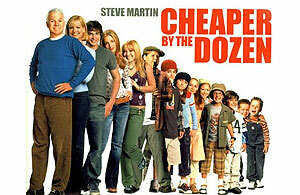 INDIA – It is in 2006 where Lea travels to India and discovers music mantras chanting with true chanting masters. This is where Lea’s transformation happens and it is at that moment when she decides to pursue world-ambient “Yoga Chanting” music to a more profound level. 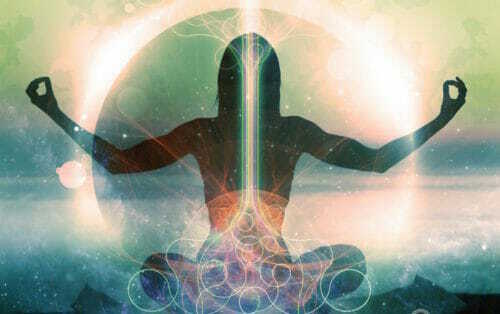 Moreover, upon her return, Lea decides to become a certified Kundalini Yoga instructor and teaches mantra meditation to deepen her yoga practice and musical expression. In 2007, Lea co-produces and releases ZEN VOYAGE -an ambient music CD showcasing her soothing and velvety voice featuring 10 sacred mantras based on Sanskrit texts. Well received in the new age world, Anne Williams from the New Retailer Magazine quotes: “wonderful CD for anyone who enjoys chant but is looking for a new sound. Very nicely arranged and performed”. Her next Kirtan Mantra CD, which she also co-produced in 2010,”Peace Chants” is a collection of sanskrit, english and gurmuk mantras blended with world beats, melodic guitars,traditional persian and turkish instruments. Lea’s voice is captivating and pure, leading the listener to a peaceful and meditative state of bliss. PEACE CHANTS receives great reviews from the NEW AGE COMMUNITY and is well received in Canada and USA. Lea has been performing her entire life throughout Canada and abroad. Some of the highlights have been at the VIPER room, the Bitter End, the Mint, Place des Arts in Montreal, MGM Las Vegas and at major festival events including Bhakti Fest, The Toronto Yoga Conference, Wanderlust Festival and Montreal Yoga and Chant Fest. She was also the honoured invited guest for the Federation de Yoga where the theme was “VOICE OF YOGA”. 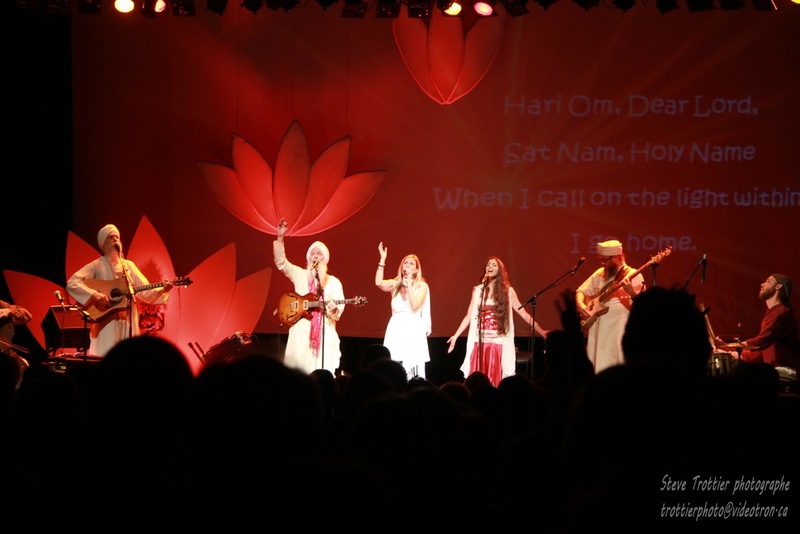 She has sang with the Guru Ganesha Band and re-known New Age artist, Deva Premal & Miten. She has had numerous television appearances and considerable support from radio in Canada and USA. Lea also recorded and released an Italian jazz album “Buon Natale All’Italiana” featuring Italian language standards, recorded with the Bourassa Trio in Montreal. Along with Italian, Lea also sings in French. In 2012, Lea launches the 1st Annual Yoga Music Kirtan festival in Montreal and continues to support the Montreal Kirtan community through her Montreal kirtan group and kirtans ( montrealkirtan.com) and she continues to hold an annual Chant Fest in Montreal. She is also the co-producer of OMMONTREAL Festival, a festival dedicated to the healing arts. To add to her accolades, in 2014, she produces SONGS OF A SIREN, a very unique album fused with mantras and jazz stylings, and receives amazing critiques and reviews and was nominated for “BEST VOCAL ALBUM of the YEAR from ZONE MUSIC REPORTER and has played over 100 American & European New Age Radio stations. The album is a collection of original love songs and mantras fused with known jazz standards like “FEVER” “Here’s To Life” & “The Very Thought of You” hypnotizing the listener with Lea’s sensual, seducing vocals, and musical arrangements morphing the verses & choruses with Indian mantras with the twist of Jazz, making the “East meets West” a true successful listening discovery. 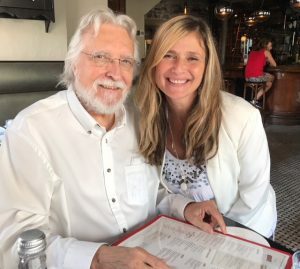 with author of “Conversations with God” best seller – Neale Donald Walsch. In 2017, she hosts with her partner, a well-known author from the USA, NEALE DONALD WALSCH (author of “CONVERSATIONS with GOD” ) to a full house seated theatre in Montreal and also co-produces LONGO LOUNGE, (with DJ Chicago based TAZ RASHID) an album of mantras with a relaxing , zen, chill-out, downtempo feel. Inspired by Mr Donald Walsch and his teachings, she also studies and receives a LIFE COACH certification. Lea uses her expertise of mantra, meditation and life coaching, in her private sessions and group coaching programs, and continues to support the Montreal Chant community. Want to join Longo Lounge and Receive Free Tips and Music ?